Methods of formation of thin film structures and sensor elements based on carbon nanotubes have been developed. 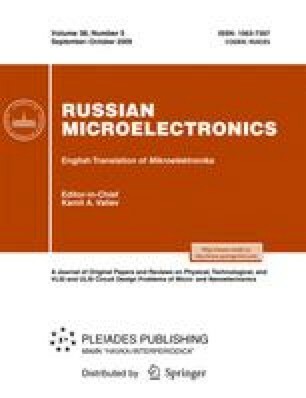 Methods of integration using deposition from solutions, probe micromechanics and the electrokinetic positioning of nanotubes providing compatibility with traditional microelectronic technology, are suggested. Peculiarities of the parallel integration of carbon nanotubes in the process of formation of thin films, networks, and individual conduction channels are revealed. Original Russian Text © I.I. Bobrinetskii, 2009, published in Mikroelektronika, 2009, Vol. 38, No. 5, pp. 353–360.